Our delivery drivers are highly skilled and experienced and will do their utmost to ensure that your delivery goes as smoothly as possible. We have provided some helpful information on deliveries in the tabbed section at the bottom of this page. Is there good vehicle access on to the site? Can the vehicle get adjacent to the drop off point? Is there a good roadway and hardstanding for the vehicle? 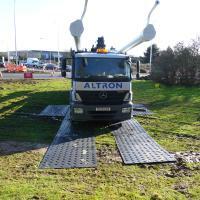 Our vehicles cannot travel over soft ground, so if there is soft ground, has 'trackway' been allowed for? Are there site controls/ rules, that we need to be aware of in advance? 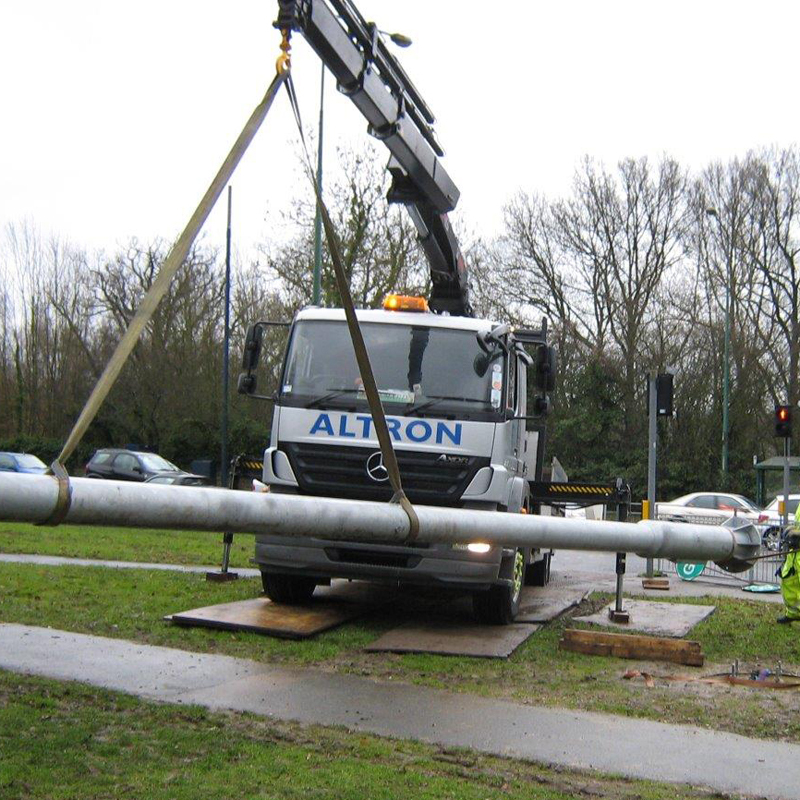 When placing poles onto prepared bases, we only cost for the driver’s operating time typically up to 30 minutes per pole. Costs given do not include for any traffic management. Traffic management must be provided in traffic sensitive areas. If you are unsure of this you should contact us and we will advise as failure to provide this may lead to an abortive delivery. An installation engineer ideally, 2 no. should be present to help place the poles and bolt down. 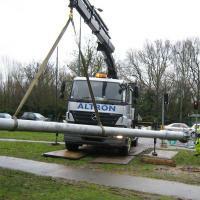 Only our driver is present and they will be operating the hiab crane, placing the pole. 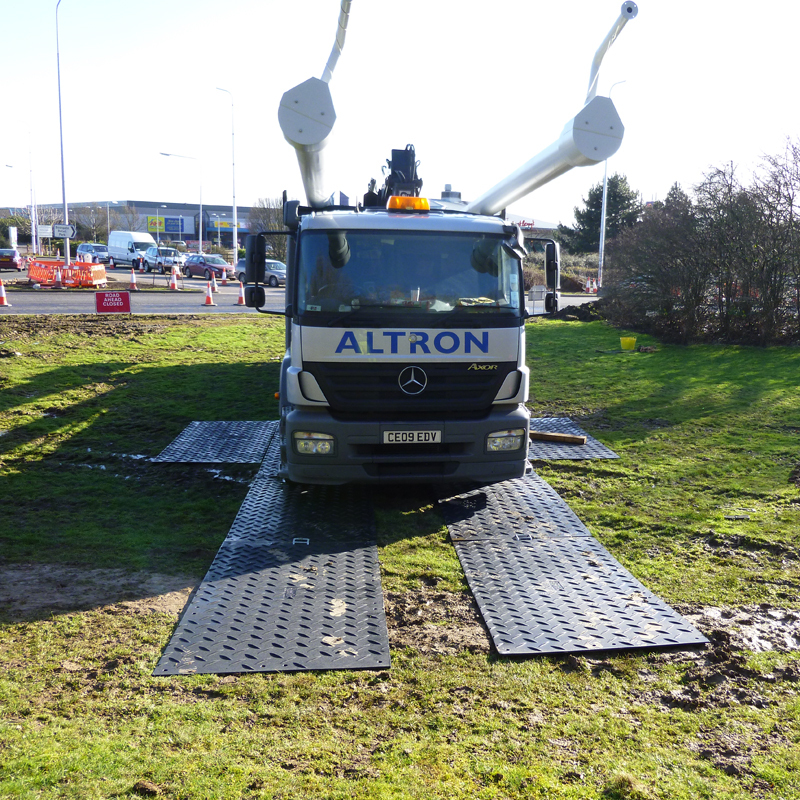 Good vehicular access is required with hard level standing adjacent to the pole base, within 3-5 metres depending on delivery vehicle. Placing of poles means we place poles onto bases but do not make vertical or bolt down. Deliveries: We shall make every effort to give delivery on the date or dates required. Such date, dates or times are an estimate only and are neither guaranteed nor deemed to be of the essence of the Contract. We cannot be held responsible for costs where delivery vehicles have been delayed for reasons beyond our reasonable control. We endeavour to advise of vehicles being delayed but cannot always guarantee this. See restrictions regarding access, safety, traffic management and prior notification in “Placing” section above.